Margaret Roach, editorial director of Martha Stewart Living, flutters around a leafy border along her driveway, plucking a few yellow leaves from the grateful plants she nurtures on her two-acre property in Copake Falls, New York. They are the last preparations on a day when her hilly parcel of land will be happily trodden upon and inspected by a few curious guests on this bright September day. 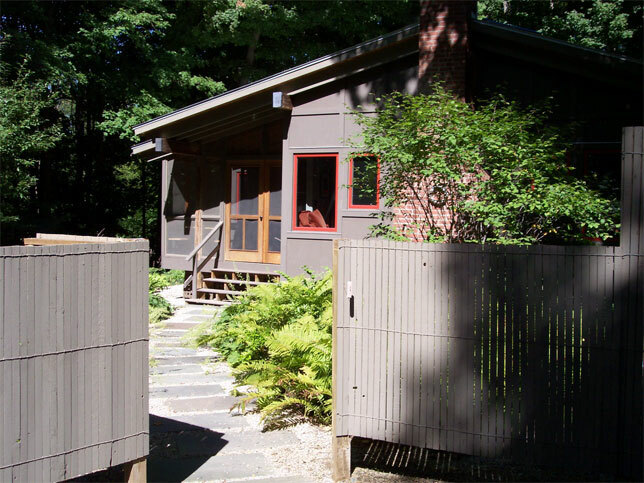 At least once a year she opens her garden gate to visitors, most of whom will be fellow members of the American Garden Conservancy, a non-profit organization founded in 1989 to help preserve and showcase some of America’s finest private grounds. The sleek black turtleneck and the grey wool trousers she is wearing whisper of a profession enjoyed in nearby Manhattan as she greets me at the gate with a smile and a beckoning hand. She turns and quickly flits up the driveway, her shoes crunching on the sandy gravel that leads us up to her 1880’s farmhouse. As we walk, we slowly enter a new world of considered horticultural opulence, a garden with ferocious confidence that must surely have been sown by fearless, tireless hands. “Welcome, welcome,” she says as she urges me to sign her guest book, which rests on a small wooden table under a canopy of cedars. Muttering to herself, she disappears into the house for a moment and returns wearing her spectacles, carrying a few flyers about the Garden Conservancy. She is disarmingly nervous and shy as she hands me the flyers and her smile is one of excitement. A few other visitors are already meandering through the grounds and a photo shoot is taking place by a birdbath that is brimming with mosses, rock ferns and tiny alien-like plants that wiggle in a breeze in sun-dappled shade. I become ever more seduced by the verdant tendrils of this mountainside retreat that seem poised to envelope the place and all who tread here. I am so taken by my emerald surroundings that I don’t notice Margaret slip back into the house through the narrow screen door, leaving me to explore the wonderland on my own. Freedom never felt so green. 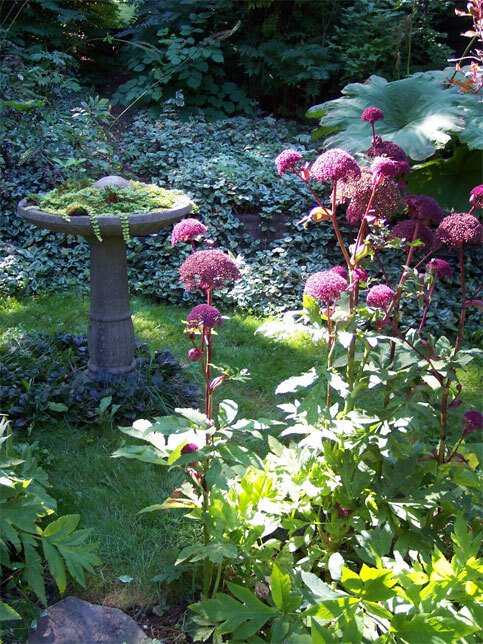 Margaret's garden is a monument to inexact luxuriance. Nowhere were there fussy flower beds or pristine lawns – no elaborate swimming pool, no fancy fountains. 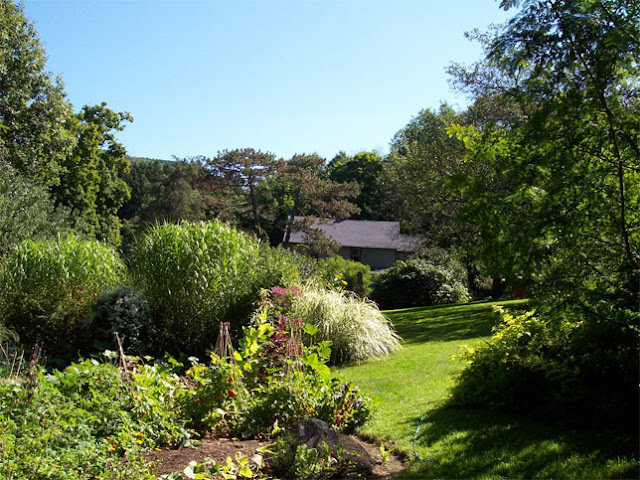 Instead, the garden is anchored in unusual specimens of sturdy foliage, fruit-bearing trees, swaying grasses and hidden treasures with flirtatious colloquial charm. Margaret, who has worked in the garden department at Martha Stewart Living since 1993, has always been philosophical about gardening. Her book, A Way to Garden, was written in just three weeks but it resonates with an astute brand of gardening wisdom most of us have to wait an entire lifetime to achieve. Humorous and touching anecdotes are woven seamlessly with photographs by Kit Latham and blended with practical gardening advice, perfectly linking the garden to the curves of a life that is fully lived. This ‘powerlessness’ finds itself in the grassy paths that snake through chunky gardens loaded with September offerings: delicate columbines, gargantuan Petasite leaves that hang like parasols over shade-loving groundcovers. The berry bushes and fruit trees are alive with bees and some amphibian growls at me from a dark, fern-laden patch of ground. Two ponds serve as laboratories for water plants, such as the parrot-feather plant (an aquatic perennial) and water lilies. 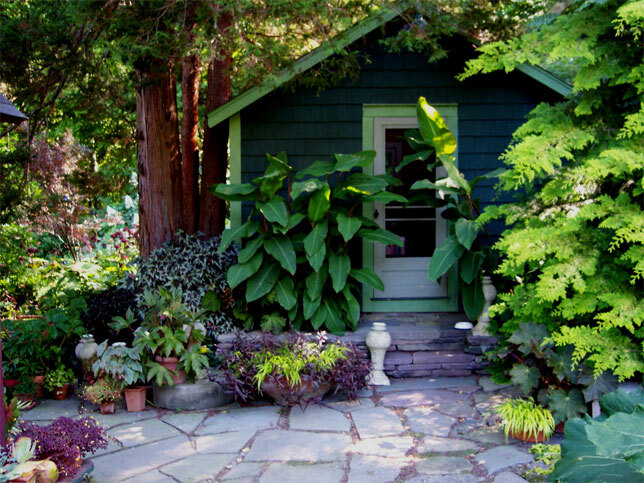 Small sheds on the lot are heavy with flowering vines, further masked by potted geraniums and broad cannas leaves that spring from the natural stone terraces and steps. A meadow at the back of the property grows wild with tall, whiskery grasses, like little bluestem, goldenrod and yarrow, while a rustic vegetable garden yields seasonal treats: squash, tomatoes and onion. 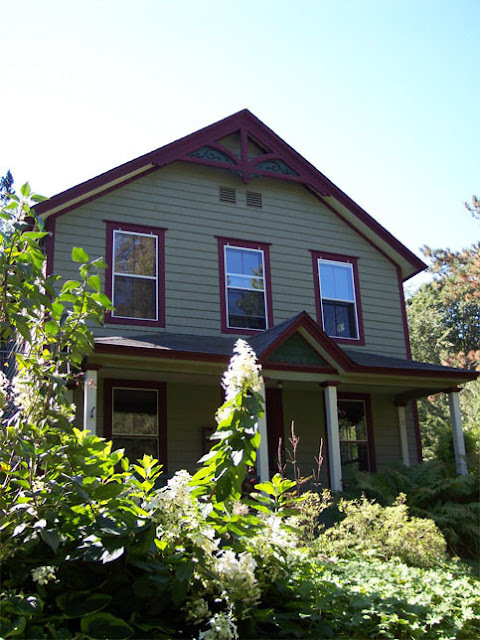 The garden is throbbing with green, punctuated here and there with colorful, exotic finds, such as an espaliered Asian pear tree near the back porch and what looks like a giant pink hibiscus growing defiantly next to a bank of cedars and pine along the front fence. There are inconspicuous Buddha statues hiding among the foliage wearing little necklaces. Peculiar but stunning water features, such as an old sink used as a quiet fountain, surprise the wanderer. Across the road, and in marked contrast to her farm lot, is her guest house. An Asian-inspired gray pavilion under a ceiling of white pines sits amid combed white gravel, majestic ferns and clay urns that gurgle with circulating water, giving the guest lot a Zen appeal. The serenity of this place would make any guest feel welcome. Margaret makes a few more appearances throughout the afternoon, talking to the goldfish in her pond and peeking in on Jack, the stray farm cat who took up residence in one of her gardening sheds several years ago and decided he never wanted to leave. As I inhale the fresh air of these Catskill Mountains and feel happily lost in a world made entirely of leaves, I understand why. 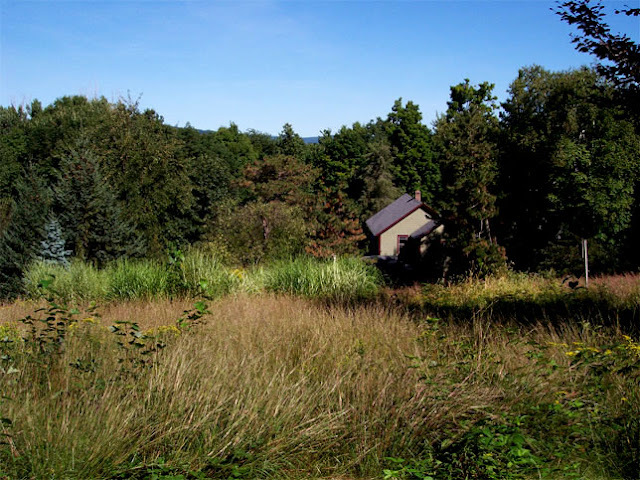 A field at the back of the property contains carefully-selected wild grasses. 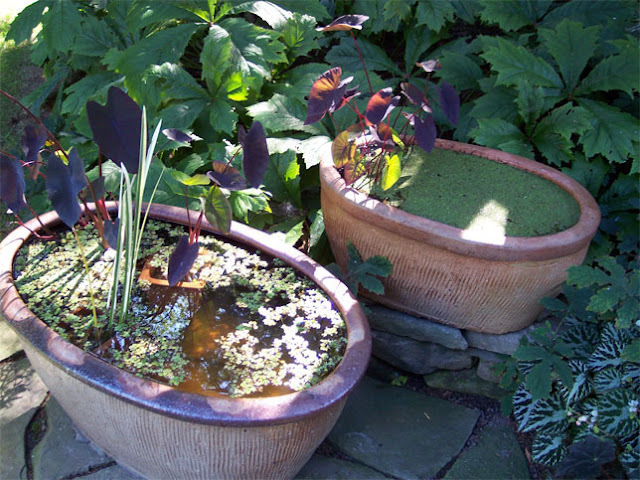 Container plantings dot the garden: these two host a vareity of aquatic species. 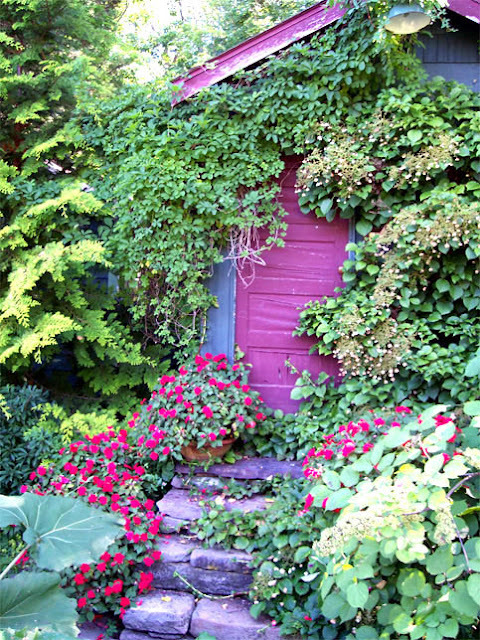 A garden shed is nearly obscured by vine and leaf and fillagree. A view of the vegetable garden. 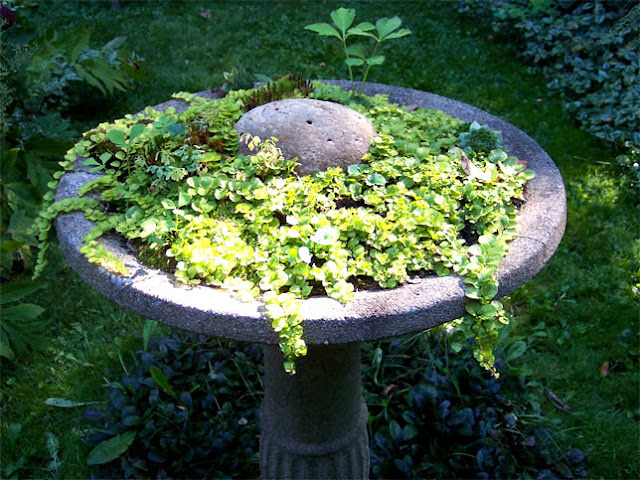 A birdbath planted with various mosses and succulents. wow nice article you were editorializing though, flits? does she not walk, does she have wings?